Barry Manilow, Celine Dion, Donny Osmond, Garth Brooks, Gladys Knight, Matt Goss, Randy Travis, Rick Springfield and Steel Panther. They are all playing regular shows in Las Vegas. 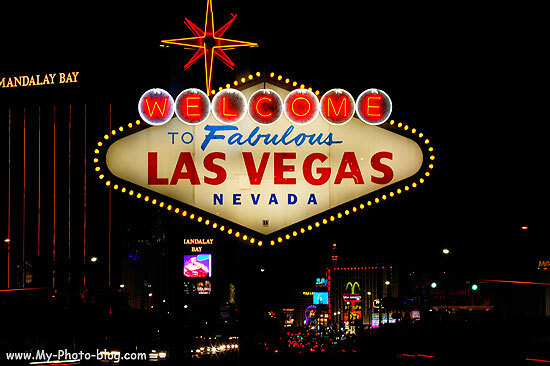 It just has been confirmed that Shania Twain will perform 60 concerts in Las Vegas starting December 2012. Of course you cannot only find famous singers doing shows in Las Vegas, but also comedians like David Spade or celebrities like Holly Madison. The list of performers is endlessly long and shows top artists. Some artists even come back after a few years like Celine Dion and Elton John. But what is it that triggers these artists to perform in Las Vegas? Is it the money? Normally you would expect that artists like Celine Dion and Elton John have already earned a lot of money and do not need a performing gig like this to keep their life style. Are they bored? After living a life on the fast lane with tours, it is probably quite shocking to suddenly be at home without having to travel for business anymore. Exploring their creativity? Since the shows performed in Las Vegas are not moving over the whole globe there are more possibilities to set up a show, for more special effects. The Hotels and Casinos where the celebrities are performing are providing them with almost endless possibilities to fulfill their creative freedom just to get them to sign on to their Casino and Hotel. Experiencing some stability? With a show in Las Vegas, the celebrities get to do what they love: performing. They have regular performances and therefore a regular schedule. Most shows are even scheduled over three years. This makes the future more predictable and provides stability to the former traveling live. Personally I think that all of these factors influence the decisions of big artists like Celine Dion. The money is probably not the most important factor to do it, but they get paid so much it is like a really nice bonus. Other than the money they get to do what they love again: performing. They can do it without the hassel of traveling around the world and they can create their own big show. I think it’s a great oppertunity for the aging artists to explore their creativity and perform for their fans. We are currently busy with preparing a video shoot for our artist Dené Theron tomorrow for the song “Roadtrip”. Music Videos are getting more important for artists. It’s like their business card and presentation of their new product (new song) in one. It can have a huge impact on the success of a song. There are even award shows just for Music Videos like the MTV Music Video Awards. It is widely believed that Music Videos started out with the launch of MTV in the USA in 1981. The first video broadcasted was “Video killed the Radio Star” by The Buggles. But the original beginning importance of Music Videos started in Australia in a TV Show called “Countdown” in 1974. They used Music Video Clips to promote artists who were appearing on the show. Since then and the start of MTV Music Videos changed a lot. And also in some way not that much. From Michael Jackson’s epic 14min long “Thriller” Music Video in 1984 to Lady GaGa feat Beyonce’s almost 10min “Telephone” Music Video. Sometimes they tell storys like Lady Gaga’s and Beyonce’s “Telephone” Music Video, sometimes they are just funny like Aqua’s “Barbie Girl” , sometimes they work with a lot of animation like Katy Perry feat Kanye West’s “E.T.” or sometimes they just put the artist itself in the focus like Usher’s “More”. But almost never they just display the music. No matter what they show most Music Videos are really expensive. The most expensive Music Video has cost 7mio US$ in 1995 and is by Michael Jackson feat Janet Jackson “Scream”. In the end Music Videos are an entertaining tool for the artist to express themselves creatively and to present their newest song. With the success of Youtube Music Videos became important and people still love to watch them even if famous TV channels like MTV are not showing them as much anymore as they used to. Check back to see with what kind of MusicVideo Dené Theron is going to surprise you! 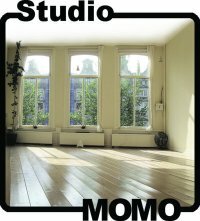 Studio Momo located at the Herengracht in Amsterdam regularly organizes live acoustic performances on a Saturday night. On Saturday May 20th I went to check out Momo Unplugged for the first time. Here local artists get the change to perform in a unique small setting for a small audience of up to 40 people. On Saturday the session was streamed for the first time, for more people to enjoy this great initiative by Natacha d’Ansembourg, the owner of Studio Momo. The night was hosted by co-organizer and singer/songwriter Petra Jordan. The streaming was recorded and can be watched back right here and here! There is no set date yet for the next Momo Unplugged but it is planned to happen in September. To stay up to date please check the website or Facebook. Where to find the next best band? In the Netherlands alone, there are about 15.000 unknown bands, waiting for that one chance to break through. As I experienced myself, unknown bands hardly ever get a chance to perform outside their region. As a band from Amsterdam, it is relatively easy to arrange several gigs there. But as soon as you try to break down the borders, you get shot down! Band contest are bound by several rules, of which the location of the band is always a big issue. Smaller bars think that bands from outside the city won’t bring enough fans and you forget about the bigger venues of course. Platforms such as Ongekend Talent and Next Best Band try to create a bridge between the band and the rest of the Netherlands, by organising band contests for example. The band with the most votes wins the festival spot, the opportunity to open for a popular band from the states or to record a video clip. Next Best Band takes this a little further and organised a Next Best Band Tour. Four cities, four venues, three rounds, a total of 12 shows with a total of 18 bands, each one of them talented enough to be the Next Best Band. Every tour consist out of 2 bands who get to play at some of the largest venues of the Netherlands: Hedon (Zwolle), Patronaat (Haarlem), 013 (Tilburg) and Tivoli (Utrecht), each night a local talent will accompany them. A great opportunity for all the bands involved, a good promoted gig, at a well-known venue and the best thing is, the bands only have to show up. Tonight Next Best Band is at Hedon Zwolle. Dudettes (which you may have heard live at radio 3FM this week) and Birth of Joy will be accompanied by local talent De Geweldigheid. Doors open at 20.00 and entrance is €7 and €5 voor students and CJP cardholdes. June 9th, you can join the Next Best Band team at Tivoli de Helling in Utrecht. This time Audio Adam will accompany Dudettes and Birth of Joy. A combination sure to rock your night! Doors open at 19.30 and entrance fee is the same. What went wrong with MySpace? Many of you are probably familiar with MySpace and Facebook, and are registered users at the websites. Lately I realize that I don’t really care about MySpace account anymore. I have Facebook, all my friends have Facebook and all my favorite artists have Facebook. Which lead t a severe case of account ignorance. What went wrong there? Was it just me, or was it not just my fault? When MySpace was founded in 2003, they gained 100 million fans all over the world. After the rise of Facebook in 2008 (after they made it accessible for everyone, and no longer just for students), that number dropped rapidly. And still is. The amount 100 million users of MySpace was their one and only peak. In 2010 Facebook had over 500 million users, 5 times the amount of MySpace users in 2003. When I did a little bit of research to this phenomenon, I came across a lot of articles with a whole bunch numbers explaining to me what I kind of already knew. Facebook’s numbers are rising, where MySpace is losing users like trees in the autumn are losing their leaves. A lot of people have opinions (and are not afraid of sharing them), but real reason I could not find. I think no one really knows. This situation just shows how whimsical social media users can be. They go where their friends go. Which makes sense of course. I tend to do the same, so I am not judging anyone. There is no way of predict what the next hype on social media is going to be. Would it not be boring if we could predict that? Would everyone follow the predictions, or would the majority of the overall social media users be rebellious and sign up for a different service? Or maybe that would be predicted as well? The fast changing world of the internet and social media makes it interesting, why change that? Slap in Apple’s face by Google Music? Sounds too good to be true? Find a first review of the offered service here. If it will really be a slap in the facefor Apple is not decided yet. Until Google does not offer an online buying service it will probably not be a huge threat. In the future we will see how the Beta Version develops and how big the acceptance within the customers is. But this definitely shows that there is a world outside apple services and devices, increasing hope for all android mobile phone users. Flash mobs as marketing tool? A flashmob is when a group of people suddenly assemble at a public place to perform an unusual act for a short period of time often for the purpose of entertainment. The flash mobs are organized via social media mostly, viral media or telecommunications. The first flashmob took place in Manhattan 2003. Since then several flash mobs have been taking place all over the world. On March 22nd 2008, the biggest international flash mob to date took place in 25 different cities all over the world. In New York City alone more then 5000 people participated in a pillow fight. As one of the participants I can tell you it was a blast! Flash mobs are now often used by companies as a guerrilla marketing tool, but does this really work? Time is flying and coming sunday and monday we already celebrate Easter. Even though Easter for many is about their religion, for most of us here it reminds us of egg hunts! Each year you see children on the streets, in parks and at home searching for eggs. They look everywhere, behind every corner, under blankets and much more! As an artist management company or A&R department of a record company, a search is always done to find new talents. Just like easter eggs, you never know where you are going to find that new talent. At the most unexpected places, at the most unexpected times, things can happen that you do not expact. Let’s see what you find this weekend!? Happy Easter from Holly Blue Productions! How do you stimulate the creative process? Big companies often have several divisions within the company. Each department is responsible for their own tasks and communicates with other departments only when needed. But why not combine all the strengths and services of each individual and departments together? All these ideas where thought of in less than an hour! The Pilots – Infinite Skies EP is online!! We are very excited to announce that one of our own team members has released his own EP!! Keep them on your radar! Cause they are ready for take off!! !